Ajji, can I have some water?… Just a few drops will do, Ajji. With the searing sky above and the blistering earth below, like cactus the people of this parched terrain are determined to stay alive. Emaciated children scurry along, dejected farmers pawn their ploughs, weary women sleep on empty stomachs… Would those perishing now have died anyway? Or is hunger calling them away prematurely? U.R. 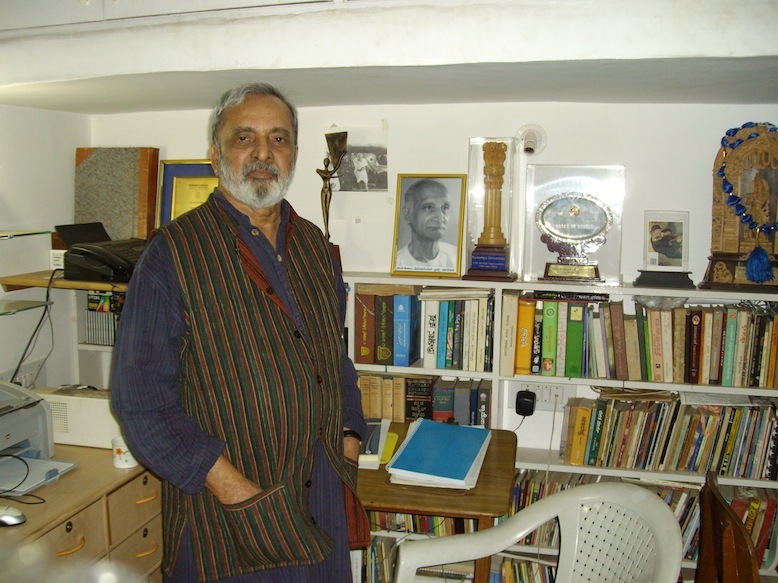 Ananthamurthy (1932–2014) was a distinguished Kannada writer and public intellectual. Samskara and Bharathipura are among his best known novels. He was honoured with the Jnanpith Award in 1994. The Indian Cultural Forum is proud to publish an extract (text and pdf, bottom of page) from U.R. 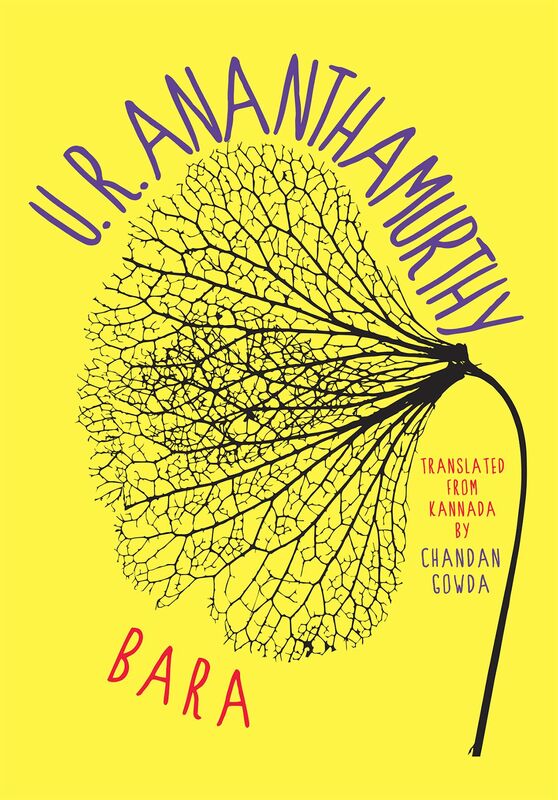 Ananthamurthy’s Bara, in a recent translation by Chandan Gowda published by the Oxford University Press (OUP), Delhi, in an edition which includes an interview with the author. One of Ananthamurthy's last acts of commitment, typical of his engagement with cultural politics, was to support the formation of the Indian Writers’ Forum, a public trust to resist attacks on India’s secular, plural ethos. Whether it was the Emergency or the rise of Hindutva politics, Ananthamurthy epitomised the writer as involved citizen. He took sides, even when it meant creating a controversy on occasion. He was, most important, open to debate and discussion. We miss him today in an India divided by old and new fault lines. But we also have his work to read, learn from, and celebrate. Bara was written during the Emergency and published in 1981. But it could have been written today, in 2016, in an India where an ethical life seems more and more difficult. Set in mofussil North Karnataka, the novella traces a civil servant’s quest for an ethical life amid desperate social circumstances. Satisha, an idealistic IAS officer, wants to help the afflicted. But the logic of local realpolitik proves treacherous. Satisha is caught between politicians unwilling to declare the district drought-hit, and murky local realities – a religious outfit strives to protect cows; the desperate youth hold a deity responsible for the failure of the rains; and petty activists want only to secure their own interests. Through a series of vivid local encounters, Bara offers a powerful allegory of India's political modernity: the tortuous realities of our democracy, as well as the political and moral dilemmas of the educated middle class. The story is a passionate invitation to examine our deeply held beliefs and think afresh. It was twice adapted as a film by M.S. Sathyu: in Kannada (National Award, 1982) and in Hindi, under the title Sookha (1983). The translator of Bara, Chandan Gowda, teaches at the School of Development at the Azim Premji University in Bengaluru. He is working on a book on the cultural politics of development in old Mysore state. 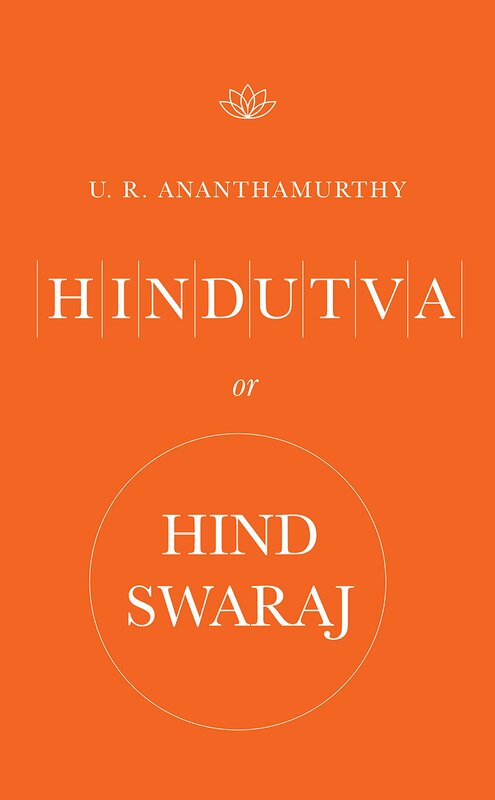 Also see here for an extract from Ananthamurthy's Hindutva or Hind Swaraj (2014). There was a sound. Satisha shut his book. Someone was knocking at the door he kept open to let visitors access him directly without going through office procedure. ‘Come in,’ he said. Bhimoji’s affected manner was to make the peon aware that he was close to Satisha. Noticing it, Satisha spoke with restrained cordiality, ‘Please sit down, Mr Bhimoji’. Satisha was surprised that news of his order to search Gangadhara Swamy’s godown had already reached Bhimoji. Unwilling to yield to his inquisitiveness, Satisha replied, ‘But I wasn’t expecting to hear from him’. Satisha took out his lunch box from the desk drawer and opened it. Inside it were a couple of chapattis, an omelette, and slices of raw tomatoes. His friends from the Air Force had brought the tomatoes and eggs from either Bengaluru or Hyderabad. Slightly embarrassed, Satisha passed a chapatti, half an omelette, and a few tomato slices to Bhimoji. ‘The tomatoes and eggs are from Bengaluru,’ Bhimoji said with a wink while he ate. He was the president of the Raitha Sangha6 and the secretary of the Municipal Workers’ Union. He had received money from the chief minister (CM) to contest the previous election against Rudrappa and aroused much local curiosity. Satisha, who wished to grasp the district’s realities, found Bhimoji an appealing figure. Bhimoji stood up laughing. His eyes counted the files—the source of Satisha’s salary—which lay on the desk. Bhimoji, who had stood feigning interest in Satisha’s words, shook hands with him. ‘The differences between the chief minister and Rudrappa must get stronger. You can create more water springs in this area afterwards. But the initial work is left to small-time politicians like me.’ Bhimoji bowed respectfully with a namaskara and left. 4 A dish comprising rice mixed with lentil stew. 5 A thick, liquid sweet made with jaggery and lentils. 6 A farmers’ organization founded in Karnataka in the mid-1970s. Reproduced from U.R. Ananthamurthy, Bara, translated by Chandan Gowda, OUP 2016, with permission from the publishers.